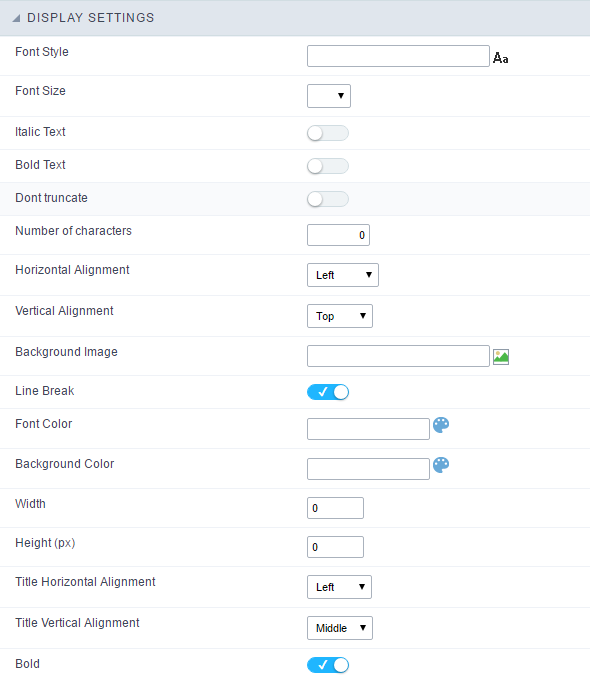 HTML Image field Configuration Interface. Data Type : Define the type of field for the application. 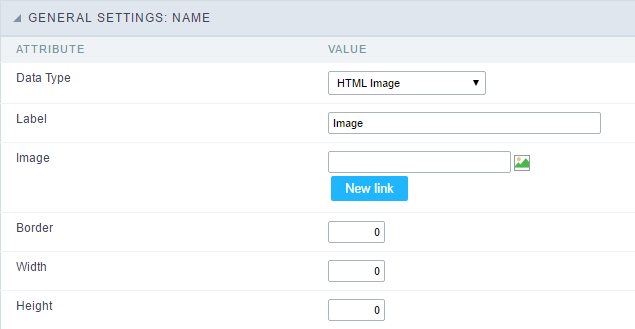 When it is defined as HTML Image, it allows to place an image to the field. Image : Defines an image that will be displayed. The icon “Select Image”, lists all the standard images from scriptcase and also the image that you have uploaded to scriptcase. The icon “Upload an image” allows the developer to send an image to the server which is from another machine. Border : Border size for the image in Pixels. Width : Define the width of the image in Pixels. Height : Define the height of the image in Pixels.